Foresee the future. I see this in two ways. I suspect this Maxim is relating to thinking ahead and planning wisely for what may arise. Looking ahead and making plans are important, whether that’s for later in the week or for our 5 year plans. I am a planner by nature. I like to have at least a vague sense of where I’m headed. As I’ve gotten older I worry less about the details and more about the larger picture. To think of it in slightly different terms, I try to be more intentional about my choices and trust that the details will fall as needed. Attempting to micromanage the details often means I miss out on something far better than I could have foreseen. I also like that this could be a plug for divination. Many Pagans really like divination. I definitely do! I think it’s a great tool. Some people use runes, some the entrails of chickens. Me, I prefer tarot. I use tarot for many types of insight, sometimes ‘foreseeing the future,’ although not usually like most people think. Tarot doesn’t tell us the future – the future is mutable! 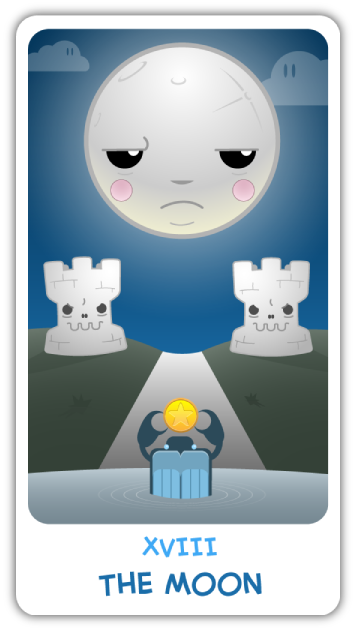 But often times the tarot can show us likely outcomes, or things that we might not be seeing. That perspective can be invaluable. Off the cuff, what do I see in my future? Quite a bit of fun: in the next month I have two trips to Portland and a trip to Canada planned. I see some refocusing. More reading, more writing, more meditation, more offerings, more cleaning. I foresee a new template for this blog and a new professional website for my editing and writing. I see deeper connections with old and new friends, lovers, and family. I foresee this being a fantastic summer for me. This entry was posted in Uncategorized and tagged Delphic Maxims, pagan, paganism, tarot. Bookmark the permalink.